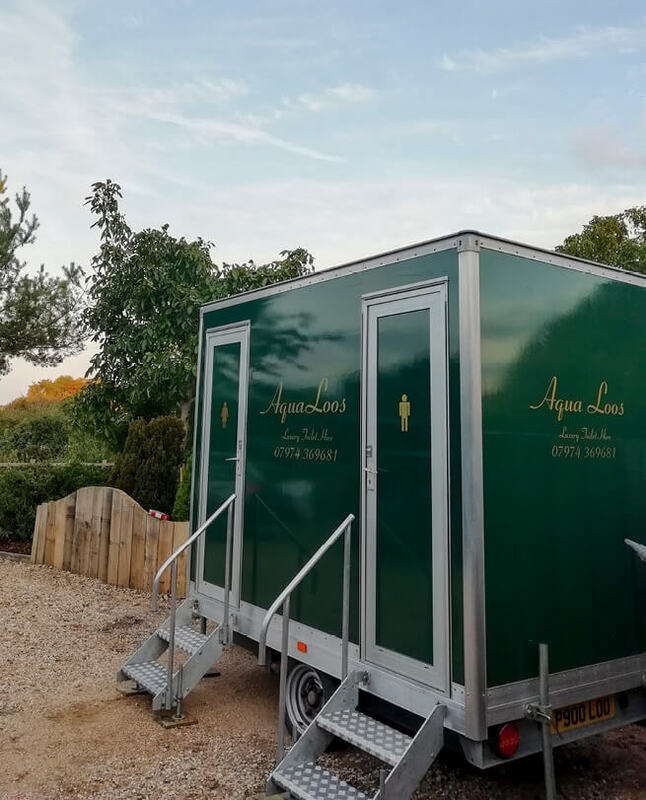 Our luxury mobile toilets are smart, spacious and contemporary. We offer a range of styles and sizes available to suit every budget and type of event. 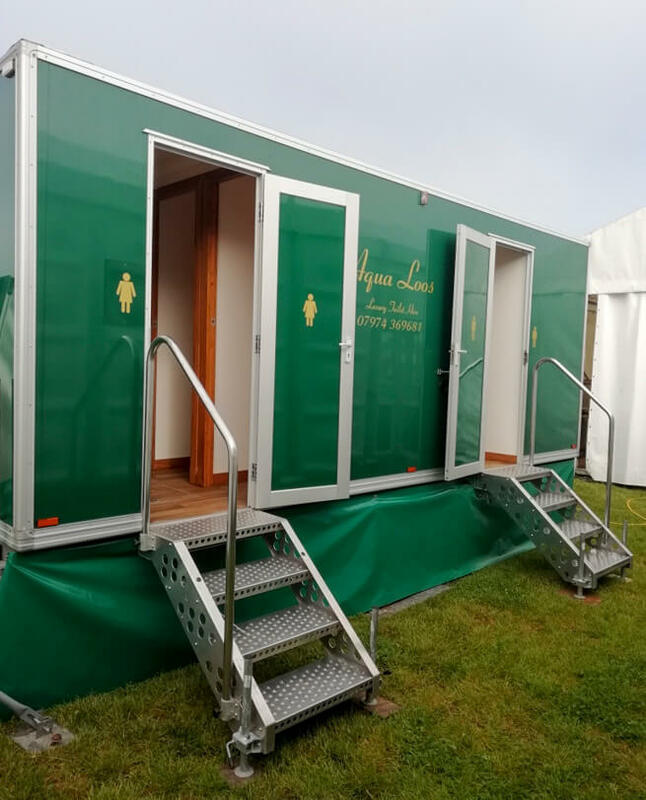 The size of mobile toilet unit you will require will depend on the number of guests, the type of event and its duration. 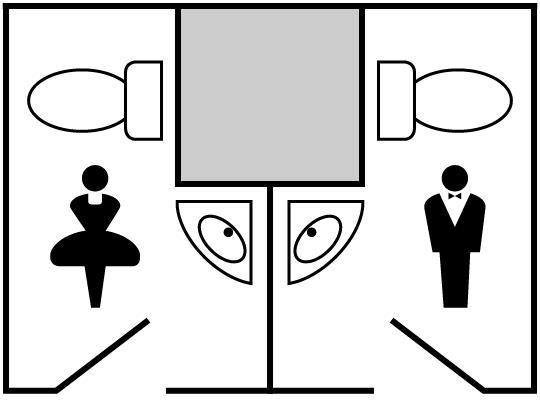 Please contact us for advise on the type of unit suitable for your event. Elegantly designed with the highest quality fixtures and fittings. This is our smallest unit ideal for garden parties as it fits neatly onto a driveway. Both the ladies and gentleman’s side contain one toilet and one hand basin. This larger sized unit is suitable for events of up to 275 guests. Comprising of 3 ladies toilets and 2 washbasins plus 1 gentleman’s toilet and 3 urinals and 2 wash basins. Our largest unit suitable for up to 275 guests. 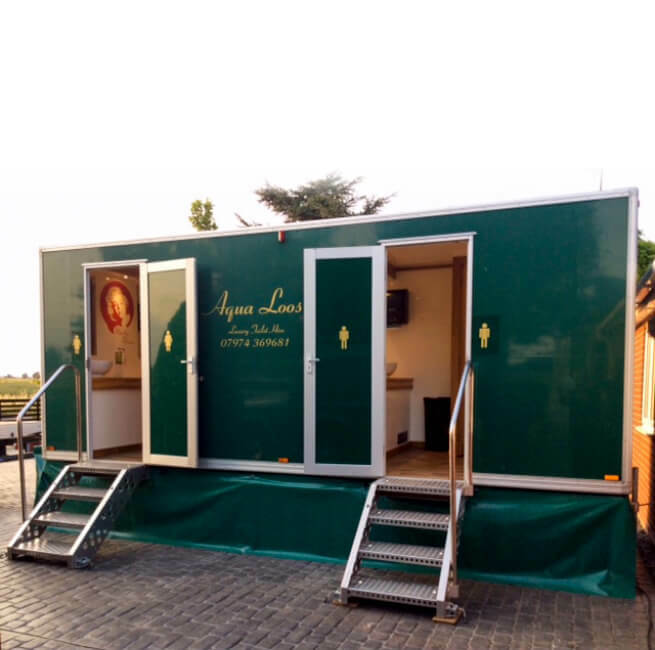 Comprising of 3 ladies toilets and 2 hand basins in a spacious vanity area. The Gentleman’s side has 1 toilet, 3 urinals and 2 wash basins. 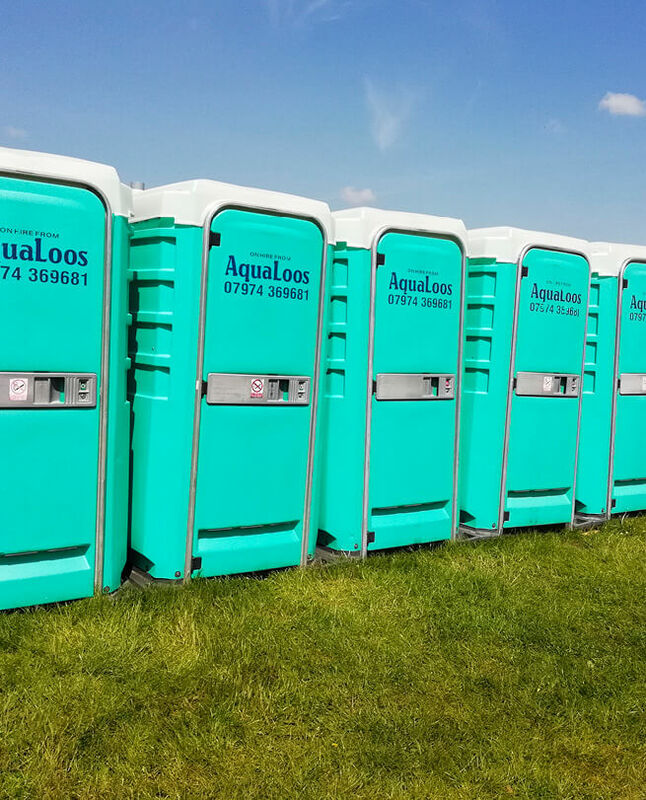 The standard individual ‘plastic loo’ and our most popular hire. Always clean always available. Order from one to one-thousand.